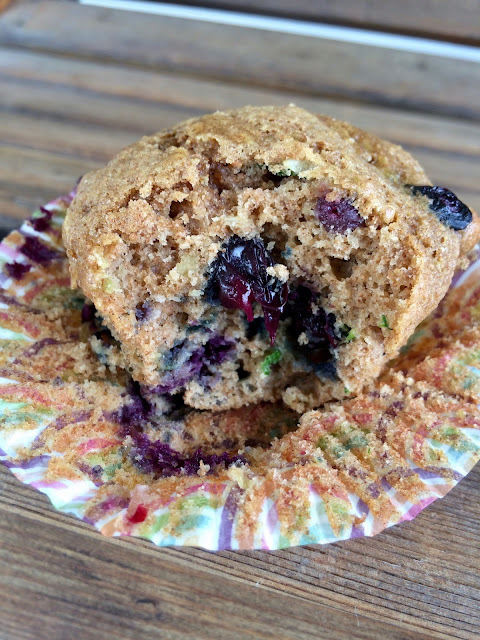 Seasonal blueberries and zucchini collide in this summery muffin giving you fruit and vegetable in each bite! This past weekend our twins turned two and I still can't believe how quickly they are growing and how much they change all the time. We had a small birthday party with family and the next day we went blueberry picking. They really love fruit and blueberries are a favorite. We went last year with them as well, but this year they were able to walk and help. One did a terrific job with picking and carrying her bucket! She was so focused and had a lot of fun. The other did a really good job at eating the blueberries as fast as he could! He also had fun. Plus they got to visit with chickens, goats, a donkey, and more. They've also really been enjoying helping me lately with things like washing dishes and measuring/dumping ingredients for cooking and baking. They helped make these muffins and also helped with eating them, too! Grease a muffin tin or put in liners. Preheat oven to 350 degrees. In a medium bowl whisk together the whole wheat flour through nutmeg. In a large bowl whisk together the eggs through sugar. Stir the dry ingredients into the wet until almost combined and then gently stir in the zucchini and blueberries. Spoon the batter into the muffin tin. Bake for 18-20 minutes, or until golden and an inserted toothpick comes out clean. Let cool at least 20 minutes before serving. Store in an airtight container for a couple of days (they are very moist, so they won't keep long). They look hearty, delicious and healthy too. I would love one for my breakfast, Amy. Blueberry did it for me! They sound delicious, Amy! A very clever and delicious way to hide that vegetable. :) No one could turn down a blueberry muffins. Looks really, really good. These muffins look lovely with their ripe, luscious blueberries, and they sound quite healthy too. Yum!! 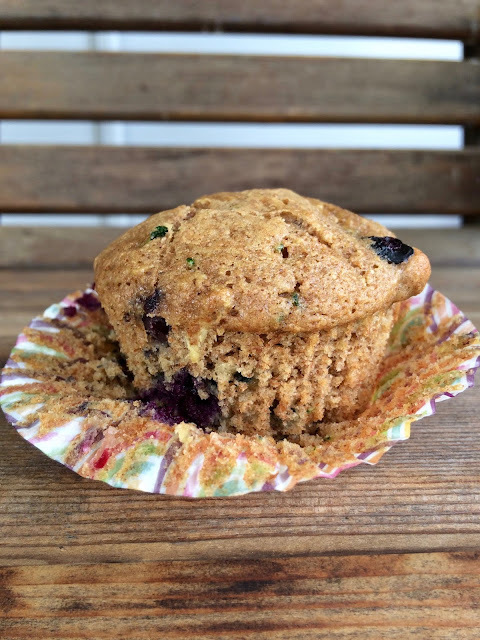 Love that these muffins are whole wheat too! PINNED! 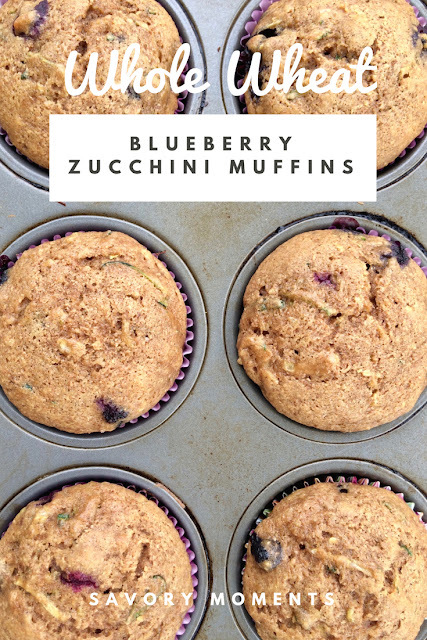 Blueberries and zucchini make such a good combination! These almost look to healthy...almost!! !